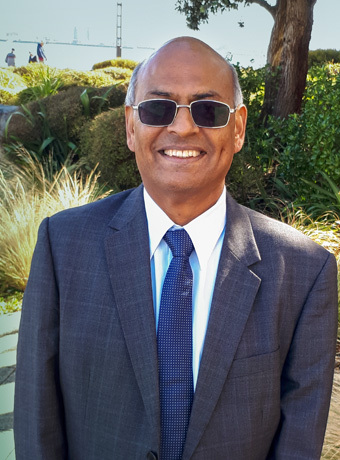 Natvar (Nat) Vallabh has over 40 years’ experience with equity (share) investments having worked with leading share broking firms and fund managers in Wellington. Nat’s experience has involved advising on international share markets, including companies listed on the New Zealand and Australian Stock Exchanges, fixed interest investments, cash management trusts, managed funds, investment trusts, portfolio management and monitoring. He has been involved with Taupō Moana Investments (IWIinvestor) since 2008 as a member of the board’s investment sub-committee and subsequently as Investment Manager from 2011 to 2015 and is currently a Director and chairs the Board’s Investment sub-committee. His governance experience includes the Wellington Indian Sports Club, he was made a life member in 1999, and he has also served as a member of the Board of Trustees of the Wellington Indian Association from 1988 to 2008. Nat began his investment career in 1976 with Francis Allison Symes & Co where he introduced company earnings forecasts to the NZ market. He subsequently became Head of Research for sharebroker Frank Renouf & Co from 1984 to 1987 and was Equities Manager for Renouf Corporation from 1987 to 1988. He then served as Equities Analyst for sharebroking firm Garlick & Co before joining Todd Corporation as Equities Manager, a role he held from 1988 to 1995. Nat then joined AMP Investments NZ Ltd and was Equities Analyst and Funds Manager from 1995 to 2005 before establishing his own company Portfolio Management Limited, a retail fund manager and equity research provider for sharebroking firms from 2005 to 2008. Nat has a Bachelor of Commerce (BCA) from Victoria University of Wellington majoring in Mathematics and Economics. Original generation time 1.0266 seconds. Cache Loaded in: 0.0166 seconds.